X-Cart is a browser-based, open-source shopping cart platform that allows merchants to access their ecommerce site anywhere using only a browser and an internet connection. X-Cart currently offers both X-Cart Gold and X-Cart Pro. X-Cart Gold supports unlimited products and is a great fit for small to medium-sized ecommerce sites. X-Cart Pro, which in addition to supporting unlimited categories and products, allows an admin to create multiple account-types to restrict access for some users. X-Cart is also available as a free demo that comes with all of the features of X-Cart Gold. With a number of great features and browser-based control of your ecommerce site, there are plenty of reasons to use X-Cart. In addition to these and other out-of-the-box features, 3rd party vendors offer a variety of modules such as unique packing slips or invoices, template/skin customization, modules to allow for changes to order confirmation emails, and more. To help simplify USPS shipping for X-Cart merchants, Stamps.com has recently launched a module for X-Cart. With Stamps.com’s USPS shipping module for X-Cart, USPS order fulfillment has never been easier. Merchants can import orders to Stamps.com and print pre-paid USPS shipping labels for any mail class, domestic or international - all without a trip to Post Office. 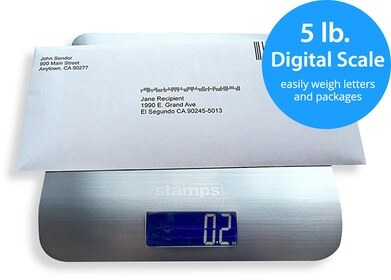 Once the shipping labels have been printed, Stamps.com will even post back shipping information such as mail class and tracking/customs numbers directly to your X-Cart database. Other great features include advanced reporting and cost-codes to help you track postage spend. Find out more about the Stamps.com X-Cart integration.